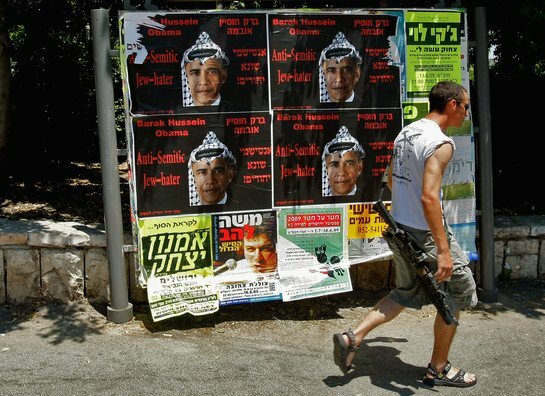 An Israeli soldier on leave from his unit passes anti-Barack Obama posters that went up overnight, on June 14, 2009 in Jerusalem, Israel. The posters, credited to an extremist right-wing Jewish organization, call the US President an anti-Semitic Jew-hater. U.S. To Allow Anti-Israel Resolution at U.N. Security Council? The United States has a hard time getting a sanctions resolution against Iran through the U.N. Security Council because Iran has two protectors (Russian and China) among the five permanent members with veto power. Israel has only one reliable veto-wielding friend on the Security Council, the U.S.
That protection may be on the verge of going the way of the special relationship. There is an article from the BBC. It is likely that the US is considering how to maintain pressure, and a UN resolution would be one way, says BBC state department correspondent Kim Ghattas. If true, this would mark a very dangerous development because U.N. resolutions, even if not containing explicit sanctions, are one of the primary tools for delegitimizing Israel. Depending upon the wording of the resolution, the damage could be severe. This could be the change Israel's enemies were hoping for. Without a US Veto a UN resolution can/will do a lot of damage to Israel because if they don´t comply this leads to sanctions. And given Israels size and location. Sanctions will definitely harm them. Hussein Obama is a street thug ....ordering nations around like a dictator with Hillary nodding in agreement. Three--fourths of the House signed a letter to Secretary Clinton expressing their dismay over the tone and direction of U.S.-Israeli relations. The US has always been pro-Israel — until Obama got elected, who is very clearly anti-Israel. Under US law as of 1995, Jerusalem is considered the capital of Israel. There is no reason whatsoever for Israel to seek approval of the Obamanoids or the UN thugs before building houses in its own capital. As BiBi noted, "This is not a "settlement," this is our capital." The whole deal is just more Jew-hating from Obama and the UN. I believe obama is trying to start a war in the middle east and end Israel's existance once and for all. Always keep in mind that obama is a closet muslim. He has accidently said he was a muslim. obama's actions as President, his associations, his speeches and his diplomacy show that he hates Israel. Yes. obama is making the MidEast a more dangerous powder keg. Israel understands this. Luckily they are led by a very astute and capable man, Netanyahu. He will do what he deems needs to be done. 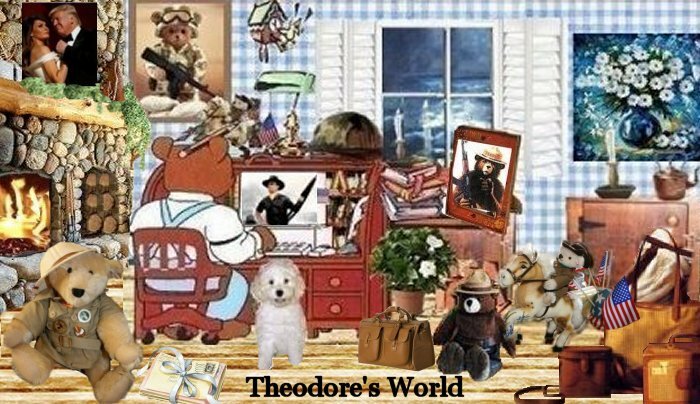 You will find things that you ordinarily may not see or read. Mark, it sure looks that way, I agree Mark. He is the one causing the problem, he won't listen to BiBi just like he won't listen to we the people. What a horrible person. Tom, your right that fact of his being a muslim has a lot to do with his extreme hate of Jews and Israel. Bob A., thank you for the link. I watched the video they have there it is z good one.